Rates vary by loan purpose and range from 3.99% to 16.99%* APR with AutoPay. "We love our new pool and we love AMS financial for making the financing so easy to research, apply and get the money. Our pool contractor was so helpful when they recommended AMS Financial and we prob... "
"We searched extensively on and offline for the best financing for our window and siding project including our local bank and credit union. At the end of the day, AMS financial had the most options, th... "
"AMS made things so simple for me when I needed to purchase my new Walk -in Tub. I searched all of the options available to me, applied for the 0% credit card program , was approved in seconds and had ... "
"I was unsure if I could qualify or even be helped due to some credit problems and a less than perfect credit score. Using the search function on the website made it easy and painless to find the prog... "
"The estimate to replace our roof was a bit more than we had hoped for so we used AMS Financial to spread the payments out and make it a better fit for our budget. AMS helped us find the best loan in ... "
"My AC contractor recommended we use AMS financial when my Air Conditioner needed to be replaced. 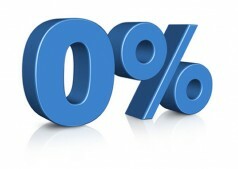 I am so glad that we did because the process was really fast and you cannot beat the 0% terms that we r... "